You could make a strong argument that the path India takes in the next 10 or 20 years is the single biggest factor in mitigating the worst effects of climate change. While it wasn’t so long ago that China and the U.S. overwhelmingly dominated talk of global greenhouse gas emissions, the world is now looking toward India as it rapidly electrifies. Funders are, too, and that includes one of the largest backers of climate work in the U.S., the Hewlett Foundation. 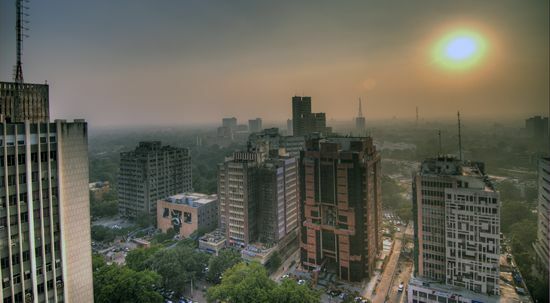 Since just 2015, Hewlett has made some big grants to sustainable energy efforts in India, a notable boost in funds specifically targeting work there. “India plays a critical role in the solution to global climate change. Over the past couple of years, as it aims to deliver energy access to its entire population, the Indian government has set ambitious renewable energy goals,” Hewlett Program Officer Matt Baker told IP regarding what’s behind the funding. The funder joined in with three other large private foundations in devoting a combined $30 million to catalyze finance for clean energy projects, part of a series of joint steps the U.S. and India announced in June. Related: Can Philanthropy Spur the Massive Climate Finance the Developing World Needs? But Hewlett has also provided more direct support for the Shakti Sustainable Energy Foundation, which is a big climate regranter, sort of like the Energy Foundation in the U.S. Since early 2015, the foundation has granted nearly $10 million to the outfit, plus a $300,000 grant to the nonprofit Prayas for its work to promote low carbon energy. This is notable, because while the foundation’s climate work was already global, Hewlett has focused more heavily on sustainability in China, with around $98 million in grants to the Energy Foundation’s work there, as far back as 2005. Why is it such an important moment for India? As the country works to vastly improve quality of life by bringing electricity to a quarter of its population—around 300 million are currently in the dark—that could lead either to hundreds of new coal plants or groundbreaking advancements in solar power and “microgrid” infrastructure. This isn’t to say that China and the United States are off the hook—quite the opposite. The countries still emit more greenhouse gases, and many have pointed out the moral imperative the West has to provide financial assistance to India’s Herculean effort. But such a densely populated nation with high poverty that is rapidly electrifying could either balloon carbon emissions or point the way forward for sustainable development. Funders like Hewlett are beginning to respond.